An osprey (17-137) arrived at CROW from J.N. “Ding” Darling National Wildlife Refuge on January 21, 2017 after it was found in the water unable to fly. The osprey had a traumatic injury to the left foot with severe swelling and is receiving supportive care and pain management. Additional treatment will be based on pending test results. The swelling in the ospreys foot has greatly improved and it remains bright and alert throughout the day. CROW's veterinary staff will examine the osprey tomorrow and move it to the outside enclosure to help build flight endurance. 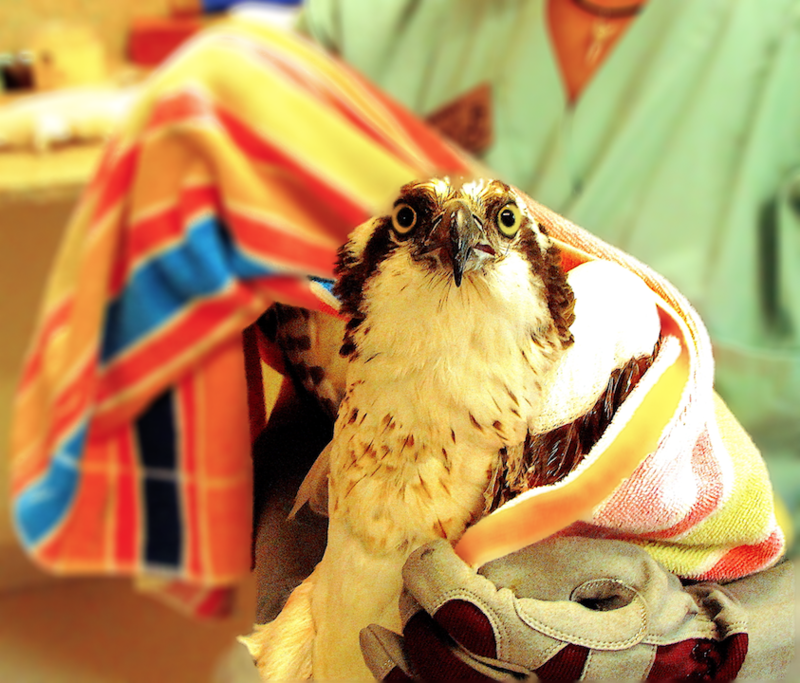 After a successful rehabilitation at CROW, the osprey was returned to the wild.